Need more information about booking Home 1143344 ? Osterbymo at Lakes, independent renovated chalet on two floors: the ground floor entrance hall, dining room, kitchen, two bedrooms and a bathroom with bathtub; on the first floor a living room, two bedrooms with sloping ceilings and a large bathroom with shower. Single Garage and extensive private grounds. It comes to locate itself in a strategic point because it is located about two hours from Goteborg, Stockholm and Malmo. 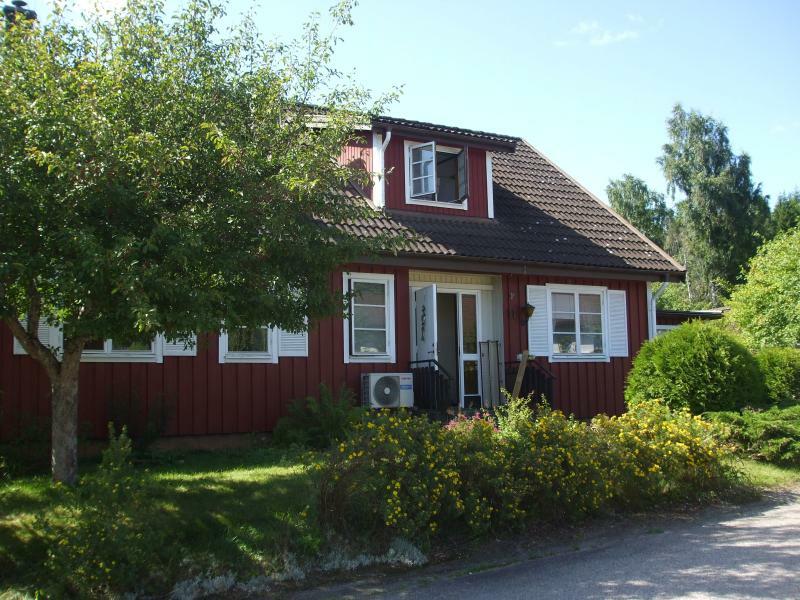 It is also located near the city of Vimmerby, Astrid Livgren (Pippi Longstocking) where is dedicated to her Park open year-round. Ideal for summer given the proximity of lakes with bathing. You can get in touch with Gian Luca (the owner) through the contact form on this page. Send Gian Luca (the owner) an email through the contact form on this page. Alternatively, if there’s a phone number on this page, you can call them. How do I contact Gian Luca (the owner)? If you’ve already booked, go to Manage your holiday booking to view Gian Luca the owner's contact details or send them a message. Or send Gian Luca (the owner) an enquiry through the Contact the owner/manager form if you’d like a quote or more info first. When you pay online through the Book your stay form, a booking request is sent to Gian Luca (the owner). You’ll find out within 24 hours whether they’ve accepted - no money will leave your account before then. You can also request a quote from Gian Luca (the owner) through the contact form. The owner will email you the total cost for your dates and a link to book and pay online. Use the Book your stay form to pay provisionally online. You can pay by credit/debit card or PayPal. Gian Luca (the owner) will have 24 hours to accept the booking and no money will leave your account before then. Why can't I call Gian Luca (the owner) before booking? You’ll need to contact Gian Luca (the owner) to do this. Send them a message in Manage your holiday booking or through the contact form on this page. You can request to change the dates or number of people on your booking via the Manage your holiday booking page. To change your holiday dates use the Edit booking button. If you need to change the number of guests staying then send Gian Luca (the owner) a message. If Gian Luca (the owner) agrees, they’ll send you a revised quote outlining the changes. You can review and accept/decline this from the Manage your holiday booking page. You’ll have 48 hours to take action before the revised quote expires.